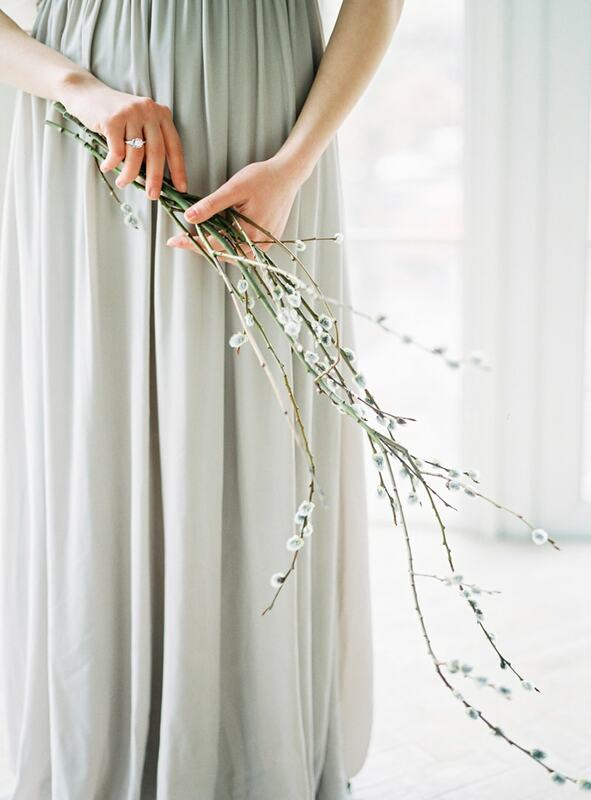 Spring Styled Shoot in Russia. Everything we love about springtime – pastels, flowers and even bunnies – all combine to create this heartwarming styled shoot. With a gorgeous couple, sophisticated setting and ample greenery, this styled shoot is refreshing and inspiring. 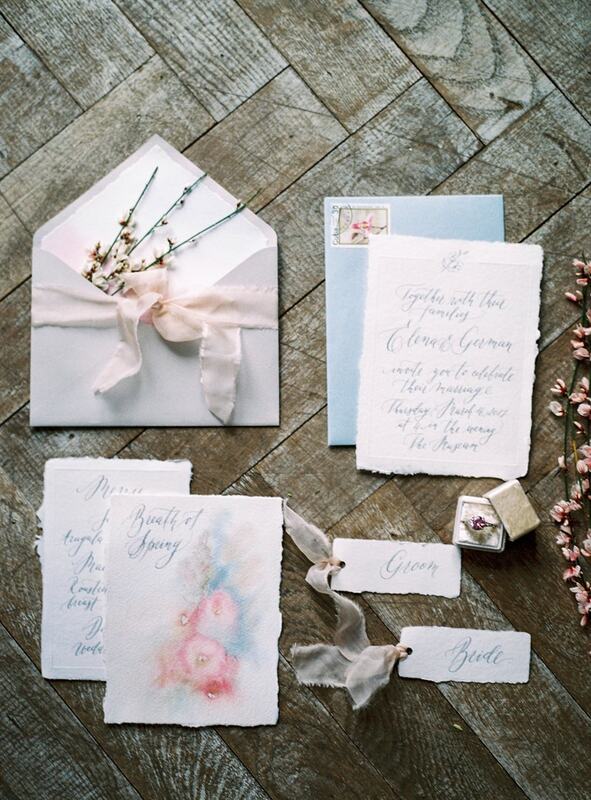 A bucolic invitation suite with a spectrum of pastel colors is soft and serene. Watercolor floral designs and fabric ribbons are just a few of the attractive touches included in this collection. 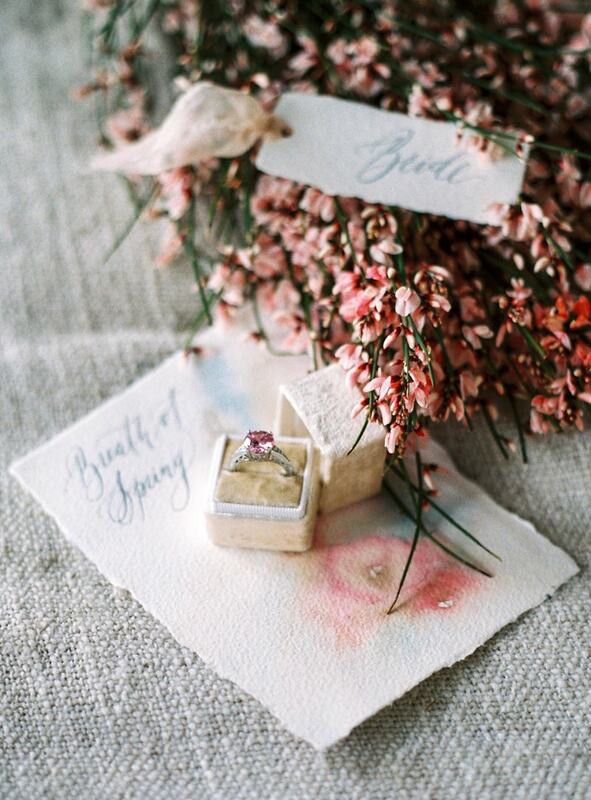 Even a pink bauble is the perfect accessory for this spring styled shoot. 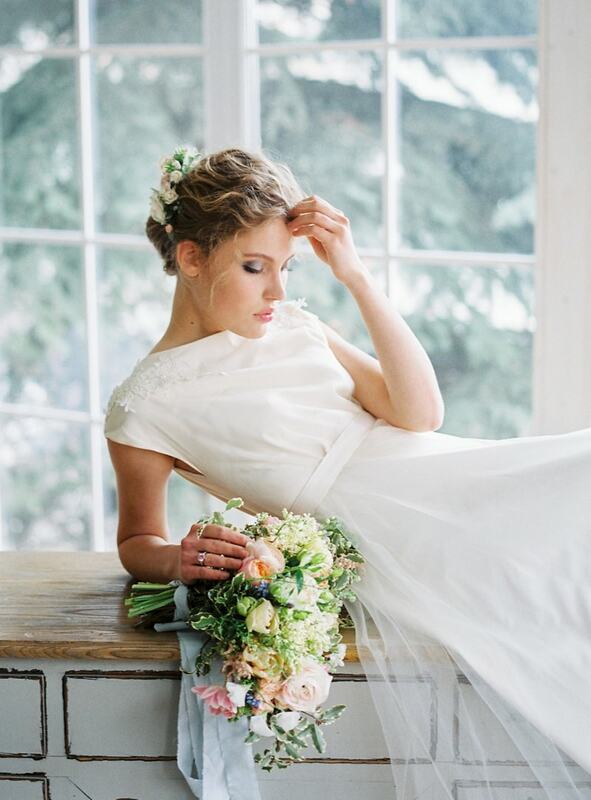 The bride looks dreamy in a bateau neckline gown with a wispy updo and romantic petite bouquet. 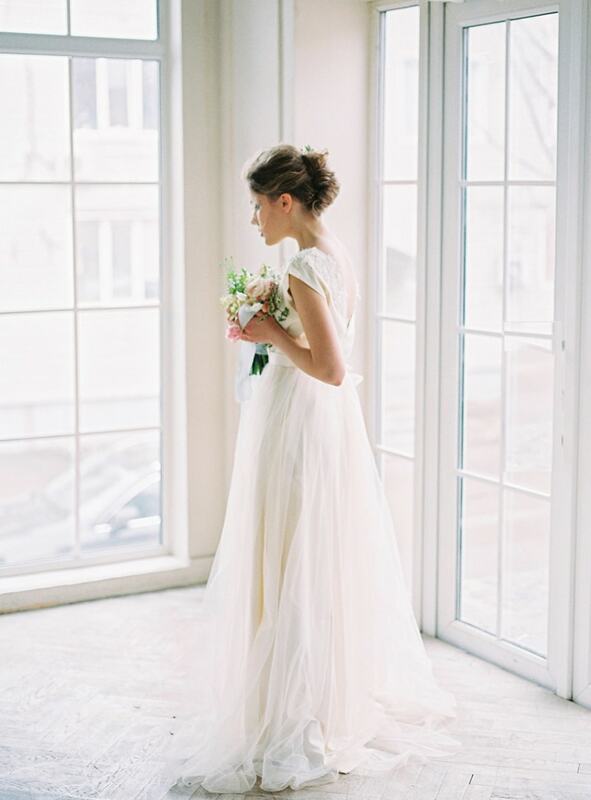 With the bright room and large windows, the bride basks in natural light. 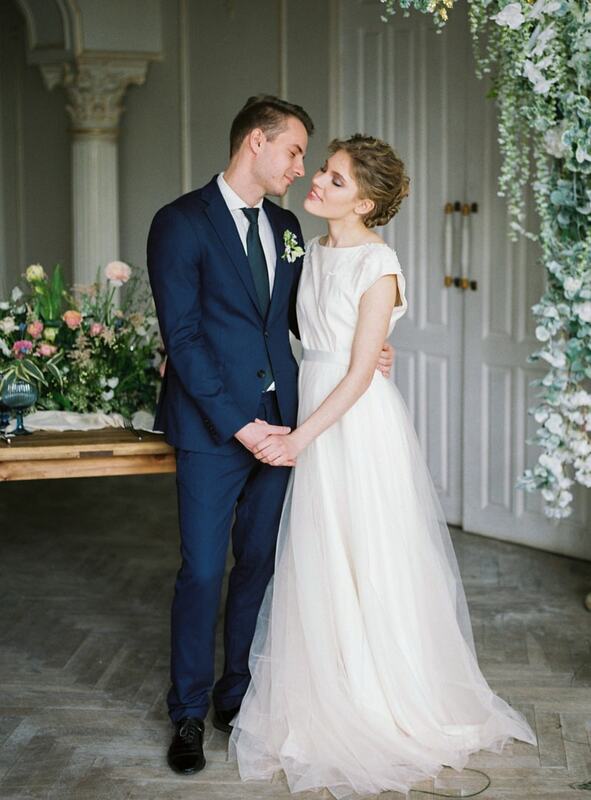 The fine details of her gown – the waistband and the dreamy skirt – are front and center. 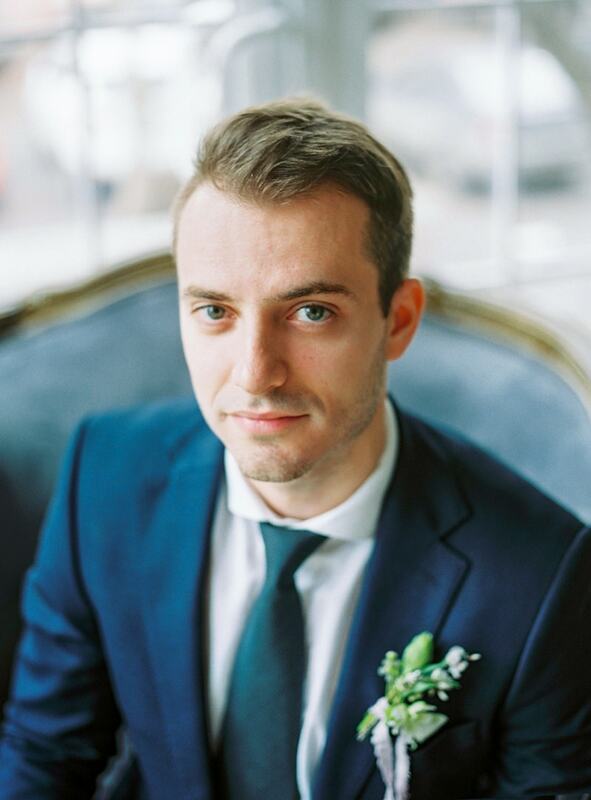 The groom sports a navy blue tuxedo with a navy blue tie and lovely boutonniere. 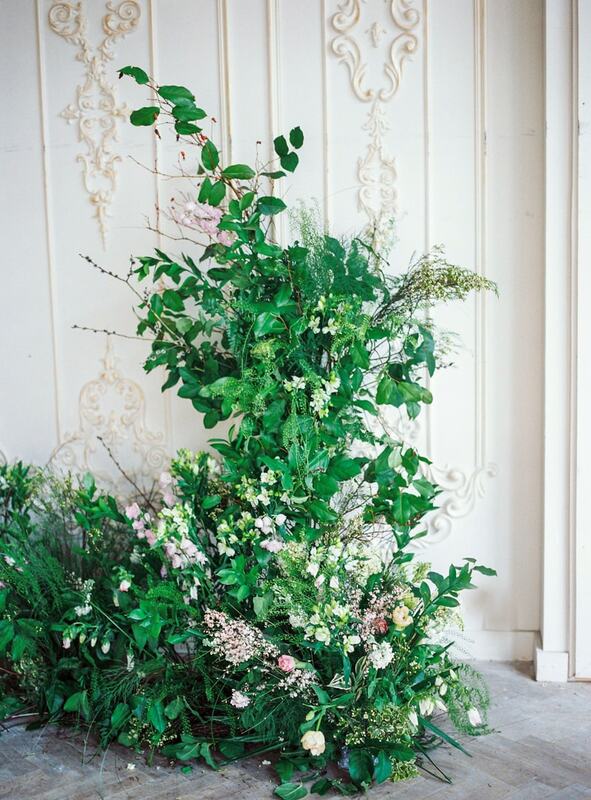 In front of the ornate door, tall arrangements of lush greenery and delicate florals inject rich organic color into the room. The bride and groom find a pair of bunnies to snuggle and admire because why not? The natural wooden reception table is decorated with a white fabric runner, noticeably dotted with bright blue vintage glassware. Soft candlelight and a white and pink floral centerpiece are just some of the colorful additions to this gorgeous tablescape. To mix up the style, modern white chairs are added for the couple. And after an utterly romantic celebration, the bride makes an outfit change. In now a light gray dress, the bride lets her curls flow freely to relax in the beautiful location. With the groom nearby, the bride is the picture of peace and serenity as she readies herself for the next great adventure. 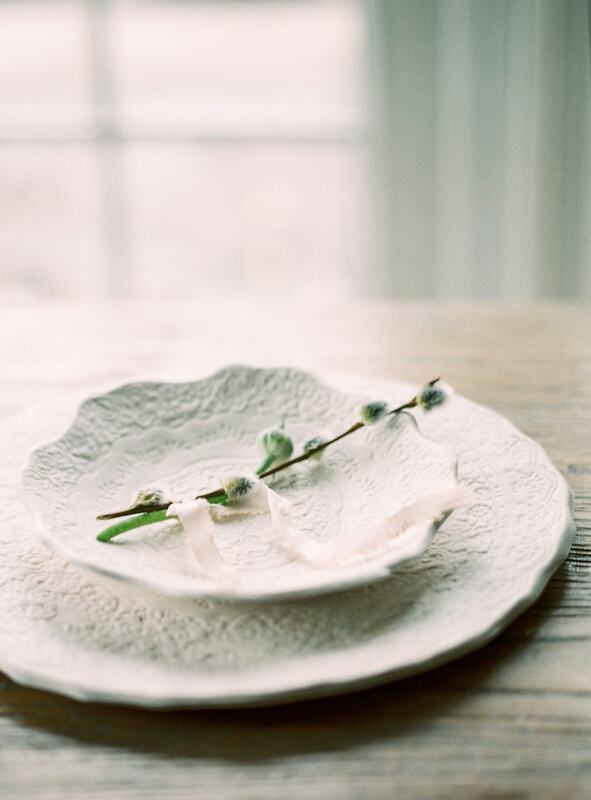 This spring styled shoot epitomizes new beginnings. From enchanting flowers to furry four-legged friends, everything is fresh, soft and blossoming - just like the start of a marriage should be!